The new Trek Emonda ALR 6, built around a lightweight aluminium frame with a claimed weight of just 1,050g (size 56), has just arrived here at road.cc for review. 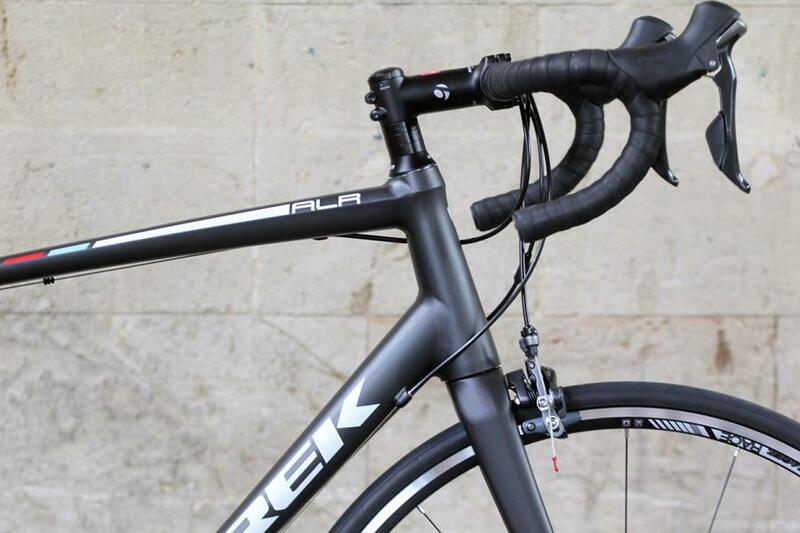 Trek reckons this is its best-performing aluminium bike ever. Before we take it out on the road, let’s have a look at what’s on offer. Trek launched the Emonda lineup to great fanfare just before the start of last year’s Tour de France. The US brand divides its performance road bikes up into three categories: Domane, for those who prioritise comfort; Madone, for those wanting aerodynamic efficiency; and Emonda, for those after light weight. The Emonda range features the SLR 10 which, at a claimed 10.25lb (4.6kg), was the lightest production road bike in the world, although Merida reckon they’ve trumped it with their new Scultura 9000 Ltd.
Let’s not get sidetracked by that lightweight arms race, the point is that Trek have now added two aluminium models to the Emonda range for the first time: the Shimano 105-equipped Emonda ALR 5 (£1,300) and this ALR 6 (£1,700) that comes fitted with a Shimano Ultegra groupset. 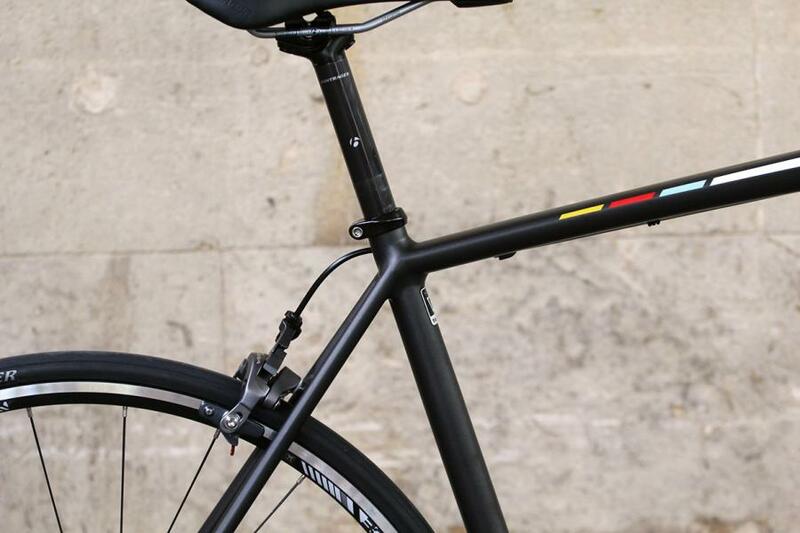 The two models share the same frameset, which is available on its own for £700. That frame is made from what Trek describes as ‘Ultralight 300 Series Alpha Aluminium’ and it’s very lightweight for an aluminium option. 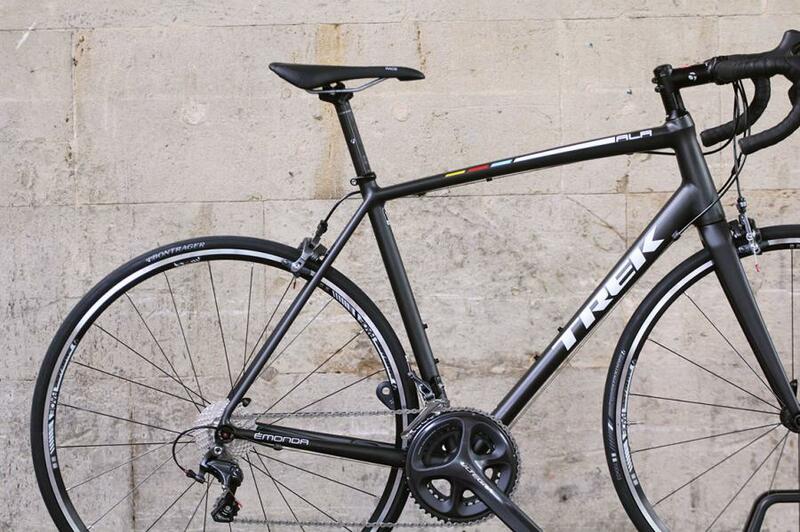 We’ve not stripped it down but Trek claim the 56cm model weighs just 1,050g. Our complete bike hit the road.cc Scales of Truth at 7.89kg (17.4lb), which isn’t too shabby at all. Obviously, making an aluminium version of an existing carbon bike isn’t simply a case of doing exactly the same thing in a different material because the production processes are entirely different. That said, Trek have carried over many features from the carbon Emonda and the aluminium version is recognisably from the same family. So, for example, our Emonda ALR 6 has an E2 tapered head tube and fork steerer, just like its carbon counterpart. That means that although it takes a 1 1/8in bearing at the top, the lower bearing is 1 1/2in, the idea being that the larger diameter makes for increased stiffness. Trek use their wide BB86.5mm press-fit bottom bracket here too, again to improve stiffness. Check out the non-driveside chainstay and you’ll see that the ALR is DuoTrap S compatible. 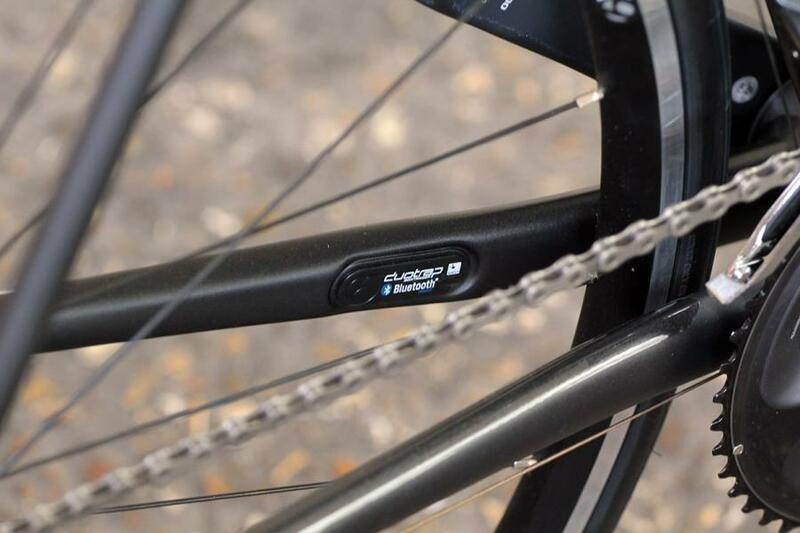 That means that a Bluetooth/ANT+ sensor can drop seamlessly into the frame and give you your speed, distance and cadence on your bike computer or smartphone. 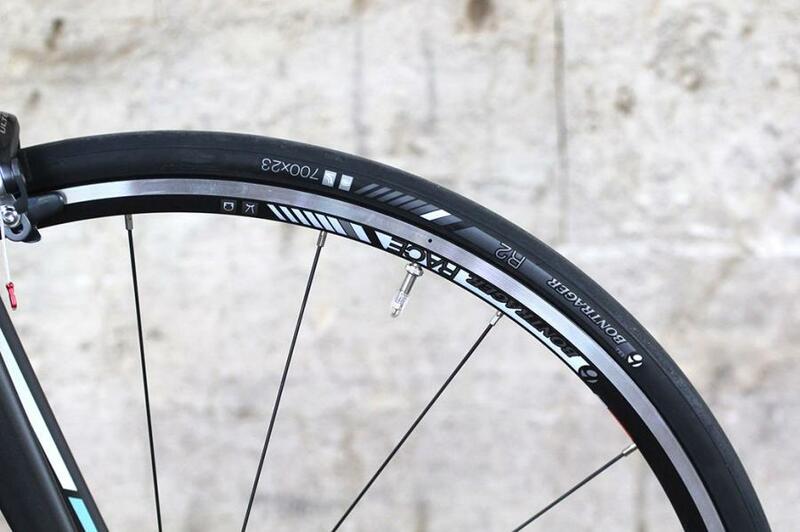 The welds are pretty much invisible thanks to what Trek terms its ‘Invisible Weld Technology’, reasonably enough. I mean, you can see the welds if you go looking, especially around the bottom bracket, but they’re certainly very smooth and well hidden. Trek reckons that it uses a process that cuts weight by requiring less material while simultaneously increasing the strength of the joint. That’s the claim. I imagine that most people are going to be attracted by the looks, though. It really is very, very neat to the point that you’d be hard pressed to tell the difference between this frame and a moulded carbon one. Put the geometry table for the Emonda ALR 6 next to the one for the carbon Emonda S6, for example, and you’ll see that they’re exactly the same, each built to Trek’s H2 geometry. H2? 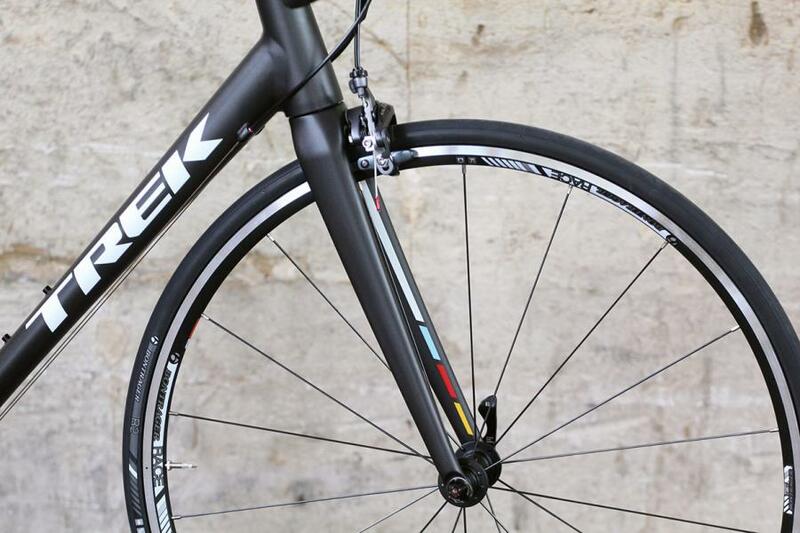 Whereas Trek’s H1 fit is low and stretched, the H2 is a little more relaxed with a slightly taller head tube. It puts you into a ride position that’s a touch more upright, but we’re not talking chalk and cheese here. H2 is still a fairly aggressive setup in the overall scheme of things. I have the 58cm model that comes with a 55.3cm seat tube, a 57.3cm top tube, and a 19cm head tube. 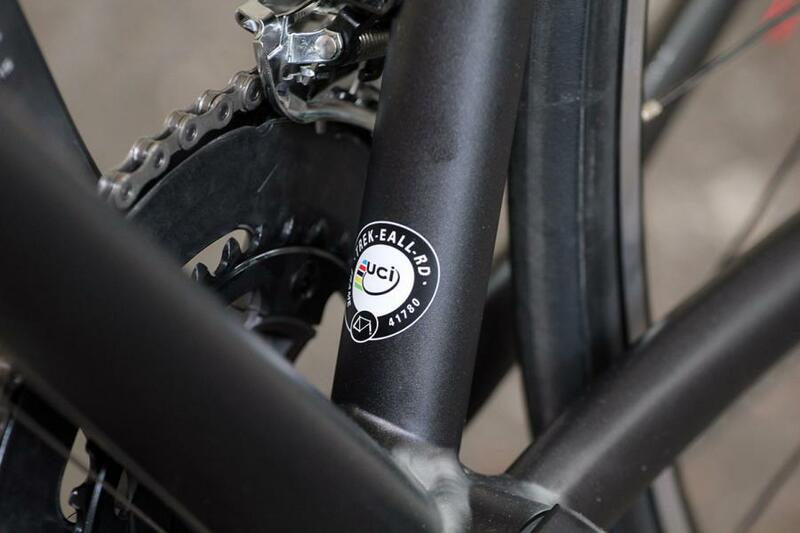 The stack (the vertical distance from the centre of the bottom bracket to the top of the head tube) is 59.6cm and the reach (the horizontal distance between those points) is 39.1cm. A whole stack of spacers underneath the stem provide you with quite a high front end if that’s what you want, but they’ll be coming out and the stem positioned much lower before I hit the road. 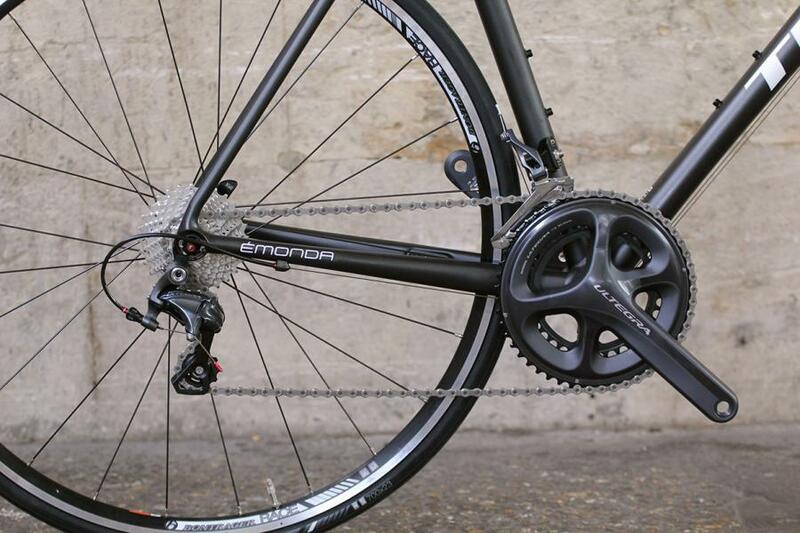 The Emonda ALR 6 is fitted with a thin-legged, full-carbon fork and, as I mentioned up top, it is built up with a Shimano Ultegra groupset – the mechanical version rather than the electronic Di2 incarnation. That’s Ultegra across the board, not just a couple of eye-catching components – shifters, mechs, chainset, cassette, chain and brakes. 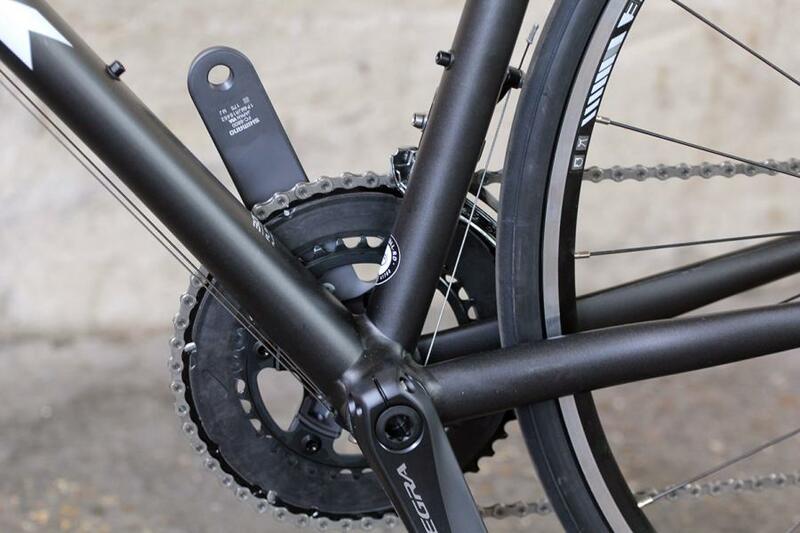 The chainset is a compact (with 50-tooth and 34-tooth chainrings) matched up to an 11-28-tooth 11-speed cassette. That should give you enough of a gear range for most terrains. 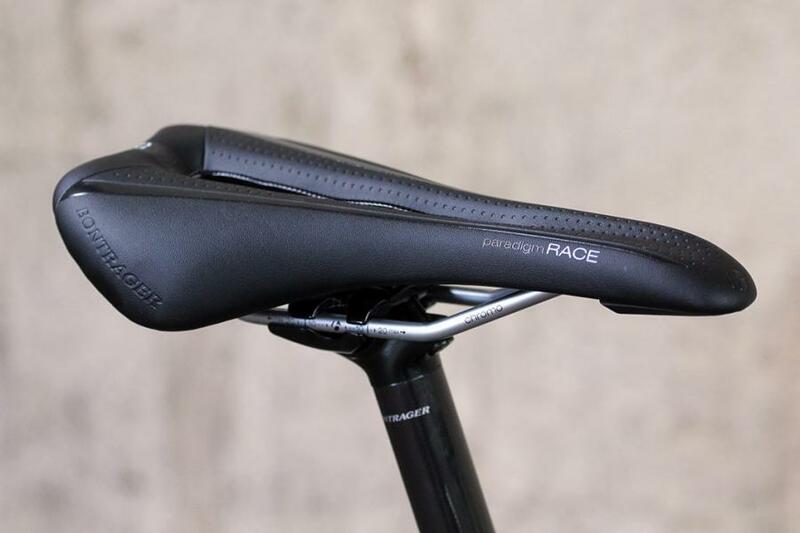 Almost everything else on the bike is from Trek’s in-house Bontrager brand, including the tubeless ready wheels and the Paradigm Race saddle with hollow cromo rails. 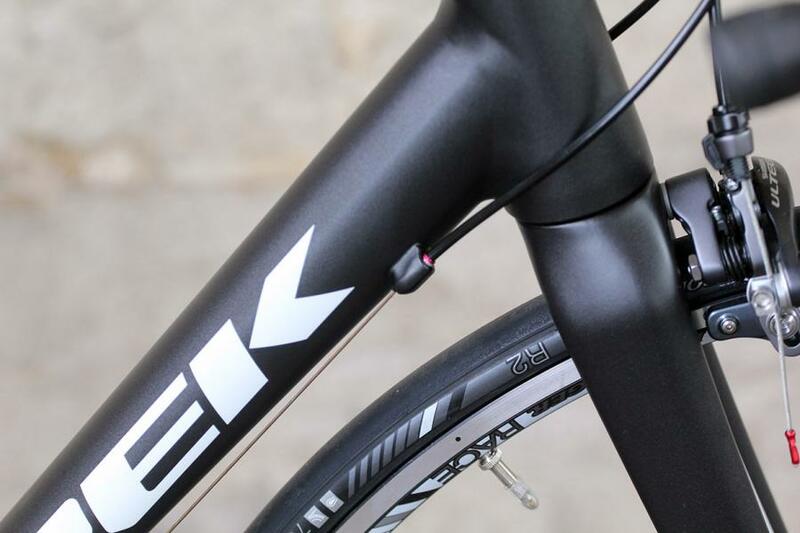 Of the road bikes we’ve reviewed on road.cc recently, the closest we’ve reviewed to the Trek Emonda ALR 6 in terms of price is the Rose Xeon Team GF-3100 at £1,733 (the Ultegra-equipped GF-3000 is now £1,780). That’s an aluminium-framed endurance road bike with a Shimano Ultegra groupset in its electronic Di2 guise. We’ve also reviewed Merida’s £1,800 Ride 5000 recently. 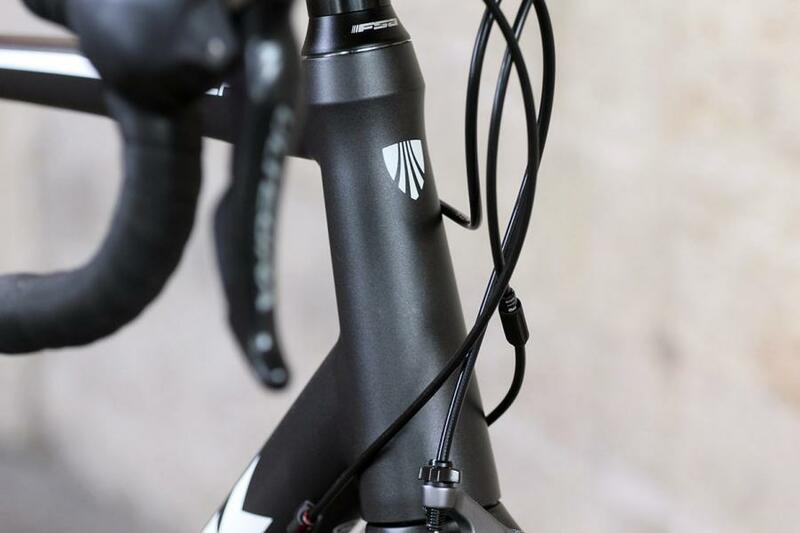 It has a geometry that’s quite similar to the Trek’s and it also comes with a Shimano Ultegra mechanical groupset, although the frame is carbon rather than aluminium. We’re not saying that one material is necessarily better than the other and, if weight is a big issue for you, the aluminium Trek is actually lighter by almost 1lb. 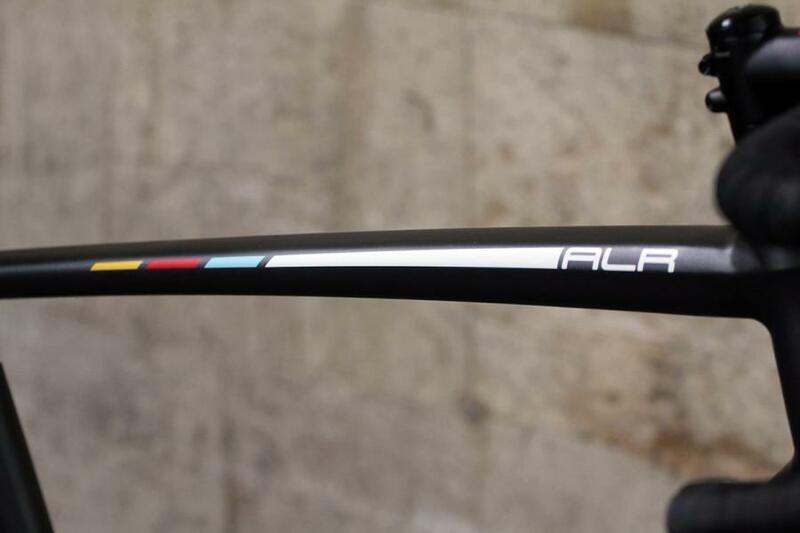 With that in mind, we’ll be very interested to see how the Emonda ALR 6 rides so that’s exactly what we’re going to do. We’ll be back with our review soon. In the meantime, get more details from Trek’s website.